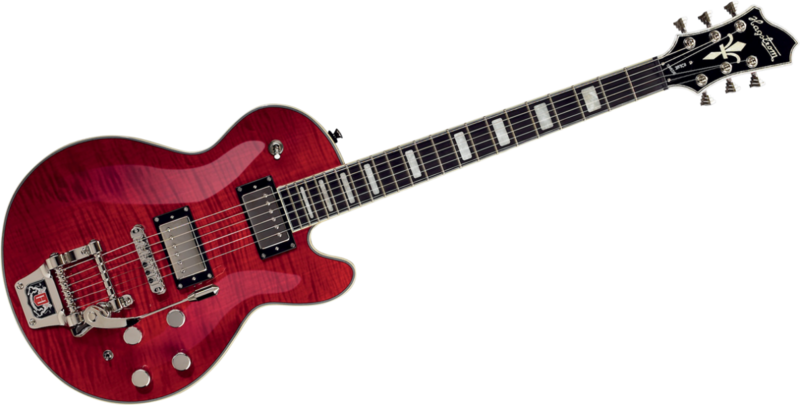 Tremar Super Swede, Other Shape Guitar from Hagstrom in the Super Swede Series series. 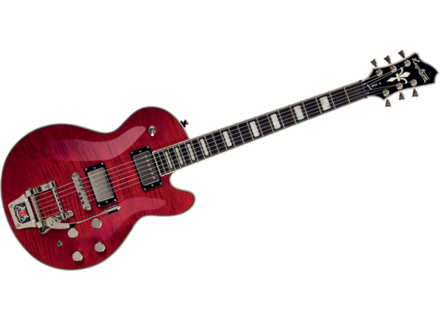 Hagstrom announced the new Super Swede Tremar Special Edition at this year’s NAMM show. The three new H90 pickups, middle pickup reverse wound, are spec’d and custom wound slightly hotter than traditional P90 pickups, which according to Hagstrom "offers the elegance and dynamics of a single coil with the warmth and aggressive behavior of a humbuckers." The neck and middle position H90 pickups output at 9.5k while the bridge position puts out a beefier 12k. The new Super Swede Tremar Special Edition features 3 volume knobs, one for each pickup, and a 6-way pickup selector. The pickup selector is similar to the 5-way selector on a strat plus the 6th option of all pickups on simultaneously. This pickup and selector configuration allows the guitarist to dial in slightly more aggressive strat tones, while the 6th “all on” position with the middle volume turned down will awaken a tele reminiscent voice as well, according to the company. Please note that as of this writing, no picture of the exact model was available. The picture in this article is that of the regular Super Swede Tremar model.